When you give someone flowers, it shows that you care. In fact, flower arrangements make great gifts for any occasion. Madison Avenue Florist can help you pick out the perfect bouquet to impress the intended recipient. 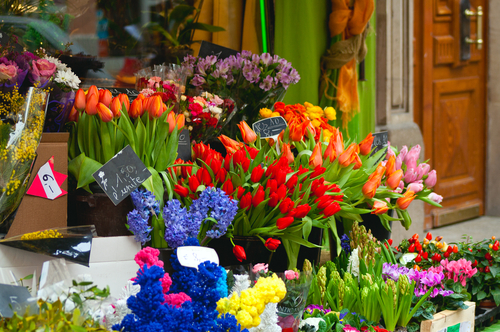 They have a large selection of beautiful, fresh flowers all year round. Here, this florist in New York, NY, explains why you should gift flowers. It’s easy to get caught up in other things and forget to get a gift for a birthday or special occasion. Even if you don’t have time to order something unique or browse the stores, you can still impress that special someone with a handpicked bouquet. They certainly won’t get mad at you for getting them beautiful flowers. When you’re buying jewelry or knickknacks, beauty always lies in the eyes of the beholder. That makes it difficult to pick something the other person likes. Fortunately, flowers are naturally beautiful. And, when you get a flower arrangement, the overall effect is pleasing. You can express your feelings with flowers because they have special meaning associated with them. For example, yellow flowers can symbolize optimism, joy, friendship, or the promise of a new beginning. Red roses traditionally stand for love, and carnations signify innocence. If you don’t know the person well, a flower arrangement is probably the best idea for a gift. Everyone loves flowers because they’re charming. With birthday flowers, you also don’t run the risk of getting a gift they already have or can’t use. It can be hard to pick out gifts for even your closest friends and family members, but flowers are a great go-to for anyone. If you need help picking out the perfect floral arrangement, the staff at Madison Avenue Florist is ready to assist you. Their website lists the most popular flowers for different occasions to make it easier for you. You can also come to the flower shop or call (212) 319-0242 for assistance. Their experienced florists can even help you select a card for the occasion. Other Announcements, Events and Deals from Madison Avenue Florist Ltd. Which Flowers Are Most Popular to Send on Valentine’s Day? A. Madison Avenue Florist Ltd.